Peggy Hillcoat is eight years old when her survivalist father, James, takes her from their home in London to a remote hut in the woods and tells her that the rest of the world has been destroyed. Deep in the wilderness, Peggy and James make a life for themselves. They repair the hut, bathe in water from the river, hunt and gather food in the summers and almost starve in the harsh winters. They mark their days only by the sun and the seasons. When Peggy finds a pair of boots in the forest and begins a search for their owner, she unwittingly begins to unravel the series of events that brought her to the woods and, in doing so, discovers the strength she needs to go back to the home and mother she thought she'd lost. After Peggy's return to civilization, her mother learns the truth of her escape, of what happened to James on the last night out in the woods, and of the secret that Peggy has carried with her ever since. Claire Fuller lives in Winchester, England. 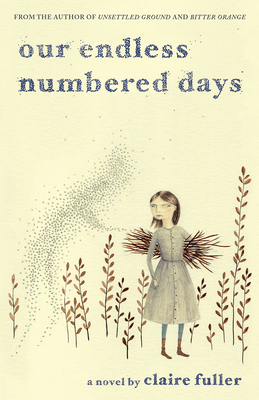 "Our Endless Numbered Days" is her first novel.